Pardon our fanboy panting, but we've been waiting for this one for a long time now. The first still from "Looper" was unveiled today by the folks at Empire magazine. 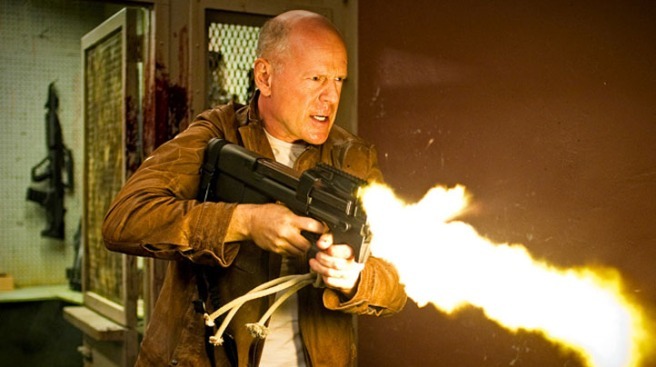 As you can see, it shows Bruce Willis squeezing of a few hundred rounds from a beastly looking machine gun. "Looper," from writer-director Rian Johnson, tells the story of a hitman who handles people sent to him from the future. But things get hairy when one of the targets sent to him turns out ot be his future self. The incredible cast also includes Joseph Gordon-Levitt as the younger Willis, Emily Blunt, Piper Perabo, Garret Dillahunt, Paul Dano and Jeff Daniels. 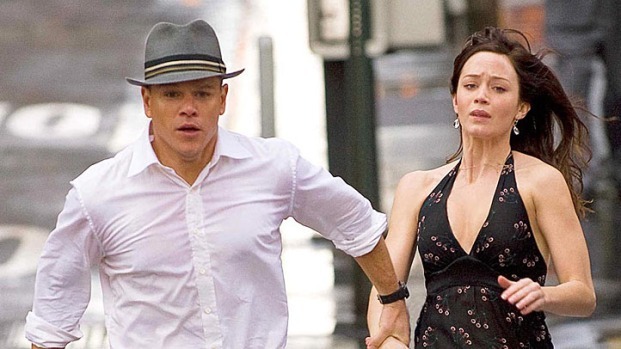 We loved Johnson's first two efforts, "Brick," which stars Gordon-Levitt in a present day high-school set noir thriller, and "The Brothers Bloom," which stars Mark Ruffalo and Adrien Brody as a pair of con men who bring in Rachel Weisz for one last job. If you haven't seen them, do so and join us in our giddiness over "Looper."